the embodiment of love – Wake Up and Laugh! then we must become of the world. Every year, at this time of year, I am re-drawn to, and re-connect with, the religious tradition of my personal and cultural heritage. 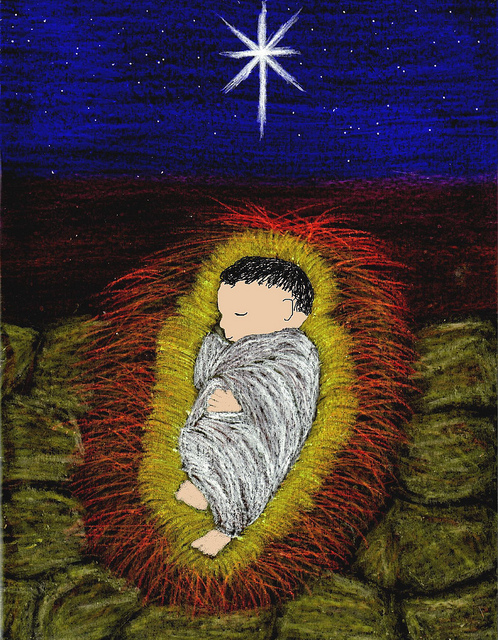 I am glad of it and I welcome this amazing time to learn from others, because there is so much good stuff in Christianity that I can draw from and which can enliven my Buddhist practice, especially in the central Christmas image of the Nativity. Because Buddhas are born kings, in palaces, sheltered from suffering, wheras Bodhisattvas, those beings that embody Love and Compassion, can take on any form. Bodhisattvas are closer to us, we can imagine them as shepherds or carpenters, with dirty robes and work-hardened hands, or as a baby born in the toughest of circumstances come to show us how to live. Happy Christmas to all you Christians, to all you Buddhists, to all you Bodhisattvas (and that’s all of you) everywhere! – From everyone at Wake Up and Laugh! Previous Post My Practice is Doubt? Nice reminder, Marcus. Thanks. I grew up in a home where there really was no religion practiced yet because of the culture we always celebrated Christmas. It was more about pausing, being together as a family, appreciating good food and practicing a little generosity and kindness. Christmas is still about these things for me but it is nice to be reminded of its true spiritual origin. Some of the Pentacostal types here in Korea really come down hard on Buddhism, and will cite Christ, but invariably they cite instances when he was addressing other Jews. Whenever he dealt with people of other religions, he was incredibly compassionate. In reading more about how people thought at the time, and what they believed, it was interesting for me to discover what a huge upgrade in thought and behavior Jesus’ teachings were. I think that’s part of the reason they spread so quickly in the region. Thank you Roy, ZDS, and Chong Go Sunim. And have a very Happy Christmas!